"The standard you walk past is the standard you accept." "My dad actually told me this quote, but I have since seen it was David Morrison. I have lost an incredible 50kgs and I now set the standards of what I want in my life now which I never did in the past when I was so overweight." 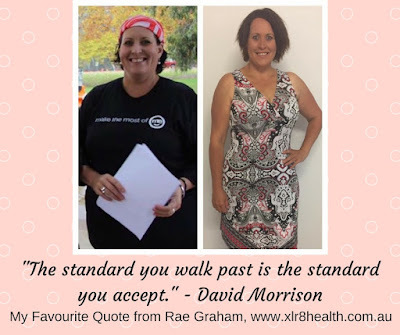 Learn more about the program that Rae followed at www.xlr8health.com.au.